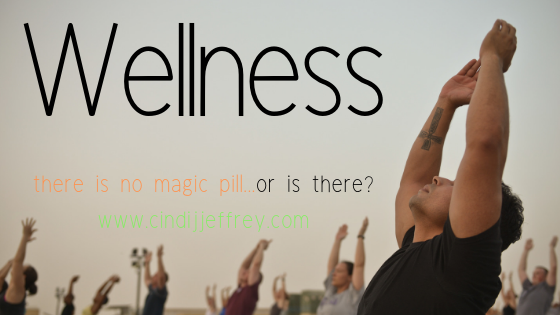 Wellness…there is no magic pill…or is there? It took time to put on weight. Getting out of shape didn’t occur overnight, furthermore, you didn’t become a couch potato within a week. I know you want to get in shape quickly, however that probably isn’t going to happen. Because there is no magic pill. However, there are some things that can help. Ready? Here are my recommendations for improving your overall wellness. THIS IS ESSENTIAL! Too many people substitute sugary drinks for water. Doing this sends you on a crazy emotional and energy roller coaster! For a short time, you have energy burst; followed by the crash, which sends you into a cycle of doing it all over again. Your sugar levels spike, you become full of cravings and you want to sleep while drinking more sugar! Stop the madness! Drink water for improved overall wellness. I always tell my customers to aim for 1/2 their body weight in ounces per day. Add Crystal Light Pure, lemons, or cucumbers. Just drink your water! By doing this, you will decrease your hunger, minimize headaches and actually feel more energized! Ask virtually anyone you know how they sleep and I can pretty much guarantee that they will tell you they don’t. Furthermore, few people make it a priority. With to-do lists that stretch five miles long, we tend to stay up later and get up earlier. But what happens in between those hours? We can’t turn our mind off. Every little anxious thought comes to mind and we lie there wondering how to complete everything on our to-do list. If you need help turning off those old tapes, check out a previous blog post I wrote. We think about the project we didn’t complete or the upcoming opportunity. We put together our grocery list and try to figure out when we will fit in time to even see our spouse. Lack of sleep creates added stress and increases our level of cortisol. An unfriendly little hormone that likes to hang around our middle. try setting a schedule and sticking to it, meaning go to bed and get up at the same times every day. You may also try Melatonin, another little hormone that tends to decline with each decade and a little bit help the sleepies come quicker. Remember going to gym class in school? Why did they have that class? It wasn’t to torture us (although I am convinced that some of my gym teachers enjoyed that). They were trying to instill the importance of movement and exercise for our overall wellness. We have had this ingrained in our heads since we were in kindergarten, yet somewhere on our journey, working out became a chore. Make yourself a priority. Studies show that walking around the block can raise your endorphins. Step out into the sunlight and get some Vitamin D. Take a Zumba class, ride a bike, or walk your dog. Do something. Exercise is critical for your emotional and physical health and will help you decrease stress levels, thus decreasing your cortisol levels. An added benefit is that movement will help you sleep better. I remember this tag line from my childhood. At that time I thought it was bunk and looking back, I would have been Nacho Cheese Doritos and Diet Mountain Dew! It took me many years to realize the truth behind this tagline though. When I eat like crap, I feel like crap and have minimal energy. What you put into your body is critical and will determine how your body looks and feels. I am still not the best nutritional eater and I rely on supplements. Again, you have to do your homework and know what is in those supplements. I look for non-gmo, no artificial fillers, and a reputable company. Today, there are so many options, it is often difficult to know where to start. If you need help, go here and look around to see some viable and bioavailable options. Share your goals with your friends and family. Writing them down and declaring them helps to hold you accountable. Opening yourself up to others also provides opportunities for them to support you. Remember, you are not on this journey alone, nor should you try to improve your overall wellness on your own. There is absolutely nothing in this blog that you have not already been told. You know what you need to do and all of the external influence and motivation will not help you if you are not doing something for yourself. Improved wellness begins with one little change and builds confidence and self-love. When that one little change gets comfortable, add another. There is no magic pill, however, stay tuned for something that may be the next best thing! What is the definition of a wellness warrior? In my mind, a wellness warrior is someone who never gives up. No matter what life throws at them, they brush it off, pull up their boot straps and stand tall, making eye contact with doubt, failure, and adversity. It is someone who refuses to back down. It is someone who refuses to stay down. It is someone who takes their injuries, their surgeries, their letdowns, their grief, and they turn it into something positive. To me, a wellness warrior is someone who refuses to stay down. To me, wellness encompasses the physical, spiritual, emotional, and sexual aspects of a person. In my opinion, to be whole, one must always strive to be healthier in all aspects. Personally, I have long history of struggling with my own wellness. Prior to being a mom, I never thought twice about what I put into my body, let alone how I cared for myself physically. After having my children at the ages of 39 and 40 put a huge strain on me physically, and while I thank God daily for my boys, my body was not nearly as eager as my heart was for the experiences. The next five years brought surgery after surgery and injury after injury. Honestly, every time I began a work out regime, I would either end up in the hospital or injured. It would have been easy to say “fxxk it”, I’m done. However, I have two little boys and an amazing husband who depend on me. I owe it to myself to get back into the game and show all of us that I am worth fighting for. It is a personal decision for each and every one of us. We need to ask our self what wellness warrior means to us. We need to honestly assess whether we are where we want to be, physically, spiritually, emotionally, and sexually, and if not, we need to take the necessary steps to move forward. After all, you are worth it! However, until you believe that, you will stay where you are. Are you ready to #beabetteryou? I certainly am! We are stronger together than we are alone. Summer is for sleeping in, right? Not in my house. My oldest son, Zach has always been an early riser. I joke about it being God’s sense of humor, since I love to sleep. We are talking rising early at 5:30 or 6:00 AM….yes, AM! Prior to having children, the only time I had ever seen 5:30 AM was if I was up from the night before! So being a mommy to Zach has been a challenge to this woman. I have had to adjust my sleeping patterns and my attitude. After all, an infant doesn’t understand a crabby mommy, all he wants is a mommy that attends to his needs. 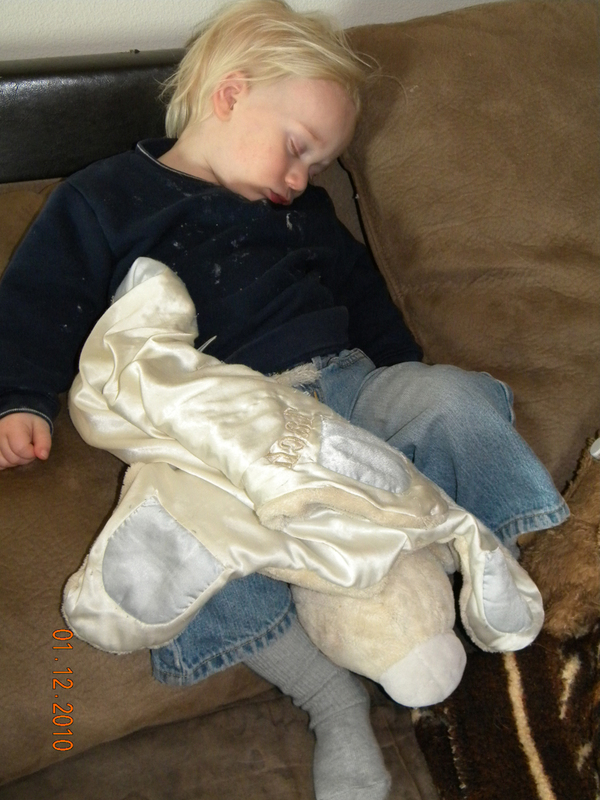 This same child also stopped napping at the age of two. 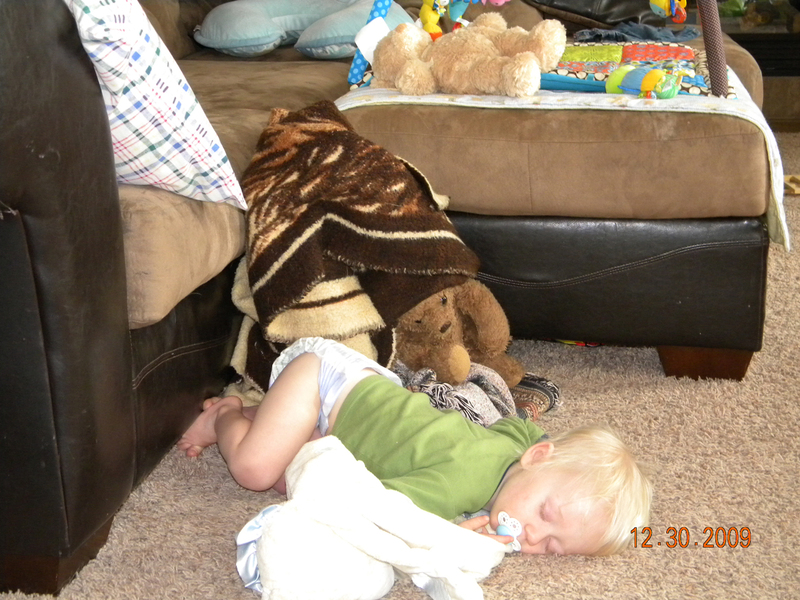 At that time, his younger brother was an infant and still needed his naps, unfortunately, so did Zach’s mommy. Again, we adapted. I incorporated “quiet time” in our home. 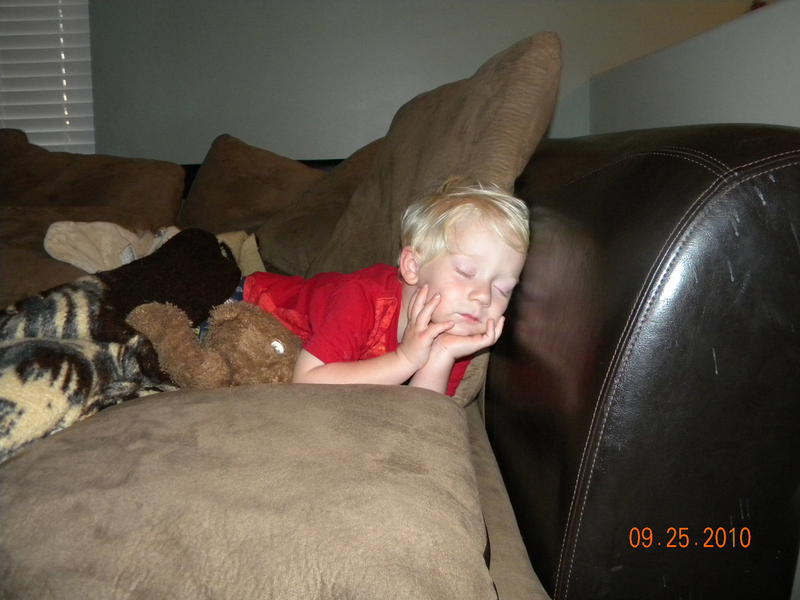 For a specific time each day, Zach could lay quietly and watch a movie of his choice…that way mommy could still close her eyes on the days that Kyler also cooperated. Five years later, I still look forward to quiet time, although I am not sure the boys do! I love the fact that when I am out moving I can let my thoughts just wander to the drone of the mower. I could care less about straight lines, although I make an attempt to make them. I also miss spots, and it is easy to tell when I became preoccupied by my thoughts because the longer blades show through. Today, I found many rocks in my yard…I found my mind wandering to when I was a child and my dad would ask me to go pick up the sticks so he could mow. Today I couldn’t help but wonder if I should blame the kids or the dogs for the randomly placed rocks throughout the yard? We have a “river walk of rocks” placed strategically through a berm and trees and all of the babies seem to be attracted to it. Unfortunately, the rocks end up throughout the area, which can create a tad bit of a hazard when I mow. Tonight, I just smiled as I tossed the rocks back into their home and caught myself thanking God for my blessings. After all, how boring would my life be if I mowed straight lines, created every blade even and had no rocks in my path? Motivation is intrinsic, or is it? You're not alone. And all you have to do is commit to our newsletter to start learning how you can be better about committing to yourself. Designed by Content a la mode.